Made with a super bulky member of the Wool Ease family, Lion Brand Wool-Ease Thick and Quick Yarn has the feel, warmth and softness of wool and the easy-care of acrylic. 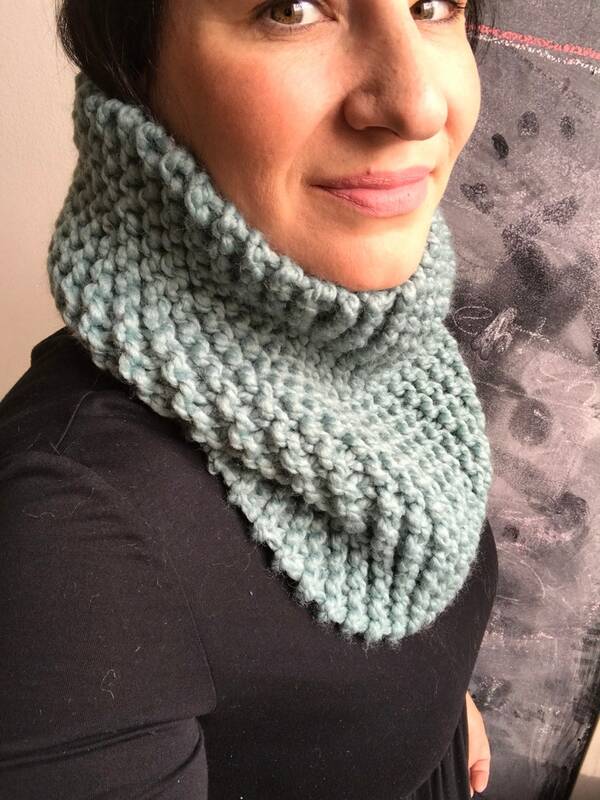 Perfect for extra warm cowls! It is slouchy and can therefore be worn up high to cover your face in the cold or folded over!